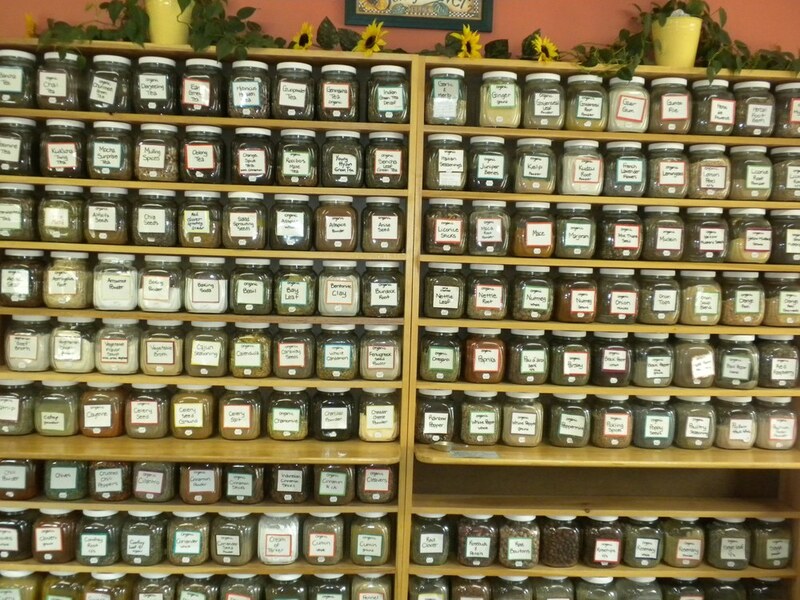 We have an extensive bulk herb/spice section in both of our stores. In Kennebunk we have a large variety of medicinal and culinary bulk herbs and spices, as well as loose leaf teas, salts and sprouting seeds located upstairs. The selection at our Biddeford location varies. Cardamom Seed Decorticated Powder C.O. Chili Pepper Flakes 35K H.U. Cayenne Pepper Powder 35K H.U. C.O. Cinnamon Sticks 2 3/4” C.O. Dandelion Root Raw C/S C.O. Dandelion Root Roasted C/S C.O. Holy Basil Leaf Rama C/S C.O. Licorice Root Sticks 6” C.O. Maca Root Powder, Gelatinized C.O. Mustard Seed, Yellow Powder C.O. Pepper, Black Malabar Whole C.O. Pepper, Black coarse grind, 14 mesh C.O. Pepper, Black medium grind, 32 mesh C.O. Pepper, Black fine grind, 60 mesh C.O. Red Clover Blossoms C/S C.O. Red Raspberry Leaf C/S C.O. Rose Buds and Petals, Red C.O. Savory Summer Leaf C/S C.O. Uva Ursi Leaf C/S C.O. Genmaicha Tea (w/toasted brown rice) C.O. Indian Green Tea, Decaffeinated C.O.